Custom Build in Walsh Pointe Davenport!! 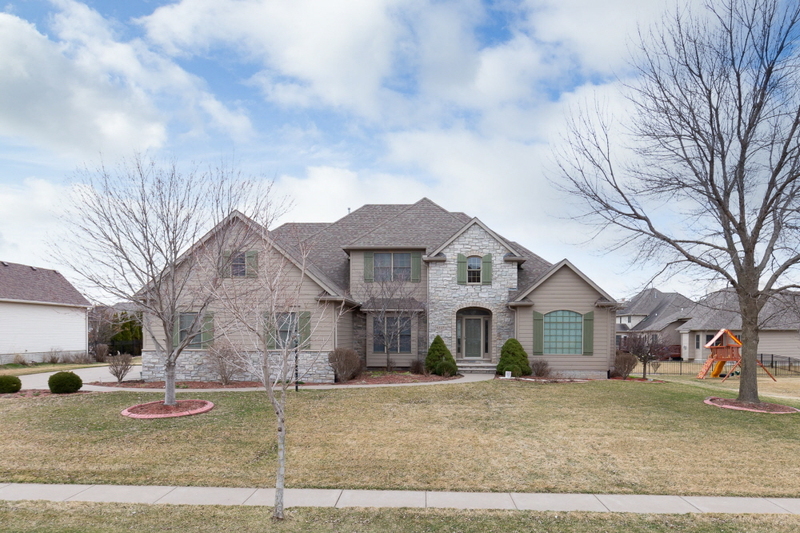 Quality McManus custom built home in this stunning 5 bedrooms, 4 bath, 3 car garage in the Bettendorf school district. Vaulted ceiling in the great room with floor to ceiling windows and custom built-ins and gas fireplace. Gourmet Brazilian Cherry kitchen, granite counter tops, stainless steel GE appliances, breakfast bar, pantry, mud room and main floor laundry. Main floor family room w/sliders to the large deck & patio & partially fenced yard. Main floor master suite with large closet and custom closet organizer. Formal dining room has crown molding and red oak floors. Professionally finished basement with family room and kids secret playroom, rec room, kitchenette, 5th bedroom, full bath, exercise room and lots of storage. Security system, irrigation system, central vacuum and so much more!! !